Can you imagine a world where there aren’t any locks and keys? How safe would you feel leaving your property and assets out in the open? Despite their evolution over the years, locks and keys have always been the core components that have imparted people with a sense of security for several centuries. Today, locks have reached a level of sophistication that’s a sheer display of how technology and engineering have come together to create a technical marvel in itself. Just like everything else, a lock and key system also gives in to everyday use, time, weather or destruction. That’s when you need reliable locksmith firm like Amber Locksmith Store. We understand the vital role these mechanical marvels play in our lives and know that any issues with it are to be addressed at once. Our lock and key service has kept the Albany, CA community safe for over a decade. Whether your digital lock has stopped working all of a sudden or your key has snapped off in the lock, we’ve got diverse solutions for all kinds of locksmith problems. We’ve got a team of specialists who’ve been through a slew of training programs and rigorous on the job training to tackle issues with a wide variety of locks. For clients who’re not happy with their current locks and require an upgrade, our technicians would be happy to procure the best quality products and install them in your premises. No one understands locks better than we do – and that’s what makes us the best lock and key service for all your lock-related problems in Albany, CA area. 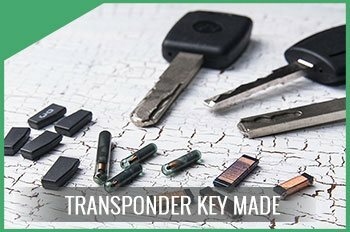 Looking for top-notch lock and key service in Albany, CA area? Get in touch with the experts at Amber Locksmith Store! Call 510-789-0848 today!